May every day of ours be like Navruz!” to hold the holiday in line with national values in the form of folk sayils (street festivities). Nowruz means “New Day”, is widely referred to as the Persian New Year. Every year millions of people worldwide celebrate the arrival of spring with the festive Nowruz Holiday. Its celebration period varies from country to country and from region to region i.e. from March 20/21. 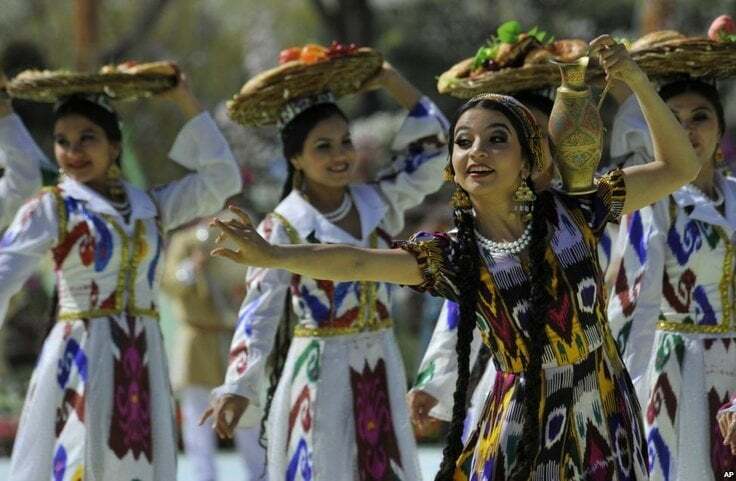 The Republic of Uzbekistan celebrates Nowruz on March 21 every day. It lasts for thirteen days in many parts of the world. Nowruz is a grand feast to welcome spring in Uzbekistan. It is day of festivity, friendship, parties, and picnics and shopping. It is also the day of flowers, foods, and families. It is a day of comfort, closeness and coolness. Last but not the least, it features arts, crafts, miniature, books, photographs, paintings, feature films, group recitation of the Holy Quran, Naats and devotional folk music of native land. From top to bottom even the Uzbekistan’s President joins nationwide festivities on the occasion of Nowruz Holiday on March 21. For the occasion, Uzbek President Islam Karimov attends a big party in a Tashkent arena, replete with choreographed performances, giant balloons, and spontaneous dancing from officials. The land of Uzbekistan welcomes the Nowruz in its inimitable beauty, with a spring breeze and the blossom of snowdrops and tulips. 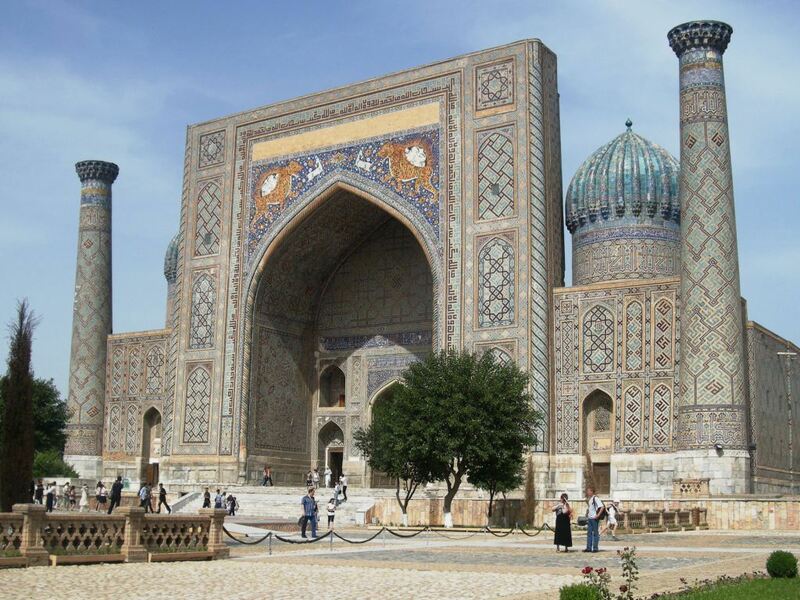 In Uzbekistan it is a symbol of clear skies, rebirth of the nature, love, and it is a hymn of life. The air around smells sumalak, here and there you can hear a proud roar of horses getting ready for the ulak-kupkari, the gambling cries of palvans, and a tender laughter of gorgeous girls and young women. Everything around is full of life. The spring finds a response in the heart of every person. The people are overfilled with the childish joy of renewal, creation and neatness. It is the symbol of the power of nature, unity, creation and grace in Uzbekistan. Last year, in Alisher Navoi National Park of Uzbekistan a grand festival was arranged on March 19 in which the lawmakers, government members, figures of science, culture, sports and arts, advanced people of the production sphere, entrepreneurs, veterans, representatives of embassies of foreign nations and international organizations accredited actively participated. 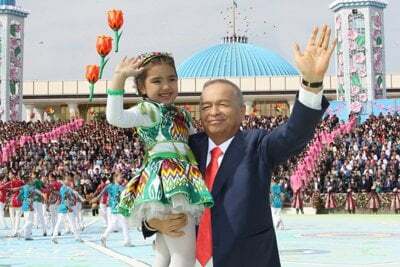 President of the Republic of Uzbekistan Islam Karimov entered the square accompanied by a storm of applause from the participants of the festive event. The President congratulated the people of Uzbekistan on the Navruz, a holiday of renewal, beauty, love and compassion. The president of the Republic of Uzbekistan Islam Karimov delivered a speech in Alisher Navoi National Park. Deputies of Houses of Parliament, cabinet officers, artists, scientists, sportsmen and other celebrities, enterprisers, best workers and veterans also were attended the said event. The President said: “Our people welcomes Nowruz with great enthusiasm and hopes, respecting it as an ancient, purely national holiday, which has got deep philosophical and symbolical meaning. Concepts of Nowruz are consonant with our customs and traditions, which have been developing for thousands of years, since the time of “Avesta”. For the celebrations of Nowruz the National Park is decorated with colorful flags, balloons and live flowers. It welcomes the start of the holiday, festivities, under the sounds of karnays and surnays. At these unforgettable moments, the souls of Uzbekistan’s people are overfilled with joy and a sense of gratitude for the invaluable gifts of life, peaceful and harmonious life of the people and country. In Uzbekistan from centuries people have met the awakening of the nature, the start of a new year with immense celebration, big hopes, clear heart and kind intentions, and crucially the creative labor. After all, cleanness and order bring about abundance and health. It is widely celebrated this year also across all cities and villages, auls and mahallas with folk festivities. Last year, a nation-wide campaign of diversified dynamic works had been initiated throughout the country in beautification and landscaping. Following cold winter days, residential quarters were put in order. Every year in Uzbekistan the collective efforts are assigned to cleaning and beautification of mahallas and streets, squares and gardens, enterprises and organizations. Shrines and cemeteries were made neat, and fruit and decorative trees as well as flowers were planted. Visits were arranged to low-income families, lonely elders, and people with disabilities. It is the true reflection of the sense of love and compassion, care for the needy, as well as humanism have come to be priority ideals in our society. Moreover, the state welcomes the children, holders of our future. Their exciting songs and dances glorify the beautiful and happy childhood. This care was manifest on the announcement of the year 2014 as the one of the Healthy Child at the initiative of President Islam Karimov. In Uzbekistan every year a special significance is attached to performances of artistic and folk-ethnographic groups of different parts of the country. It contains the demonstration of national customs, lapars, songs and dances of each region, askiya, bakhshi contests, along with performances of artistic teams of the numerous ethnic cultural centers in our country. During Nowruz season Uzbekistan’s people come closer to the nature. It consolidates the confidence in that everything is being done in this country to further the interests of people, development and prosperity of the native land, wellbeing of the nation. The performances of masters of Arts, young singers who glorify the native land, the independence, the holiday of rebirth and youth, find a deep reflection in the hearts of those present at the square. The beautiful melodies, inspiring dances, and the truly magic action grant everybody a genuinely spring bliss. At these fabulous moments, people souls are overfilled with the sense of love and devotion to the Motherland, kindness and generosity. For every Uzbek people it is one of the common events of joy, togetherness and celebration for many ethnic and religious groups throughout the country. In most of the Silk Road countries and especially Uzbekistan, Nowruz announces the joyful awakening of nature after winter and the beginning of the agricultural cycle of cultivating, planting, and harvesting. 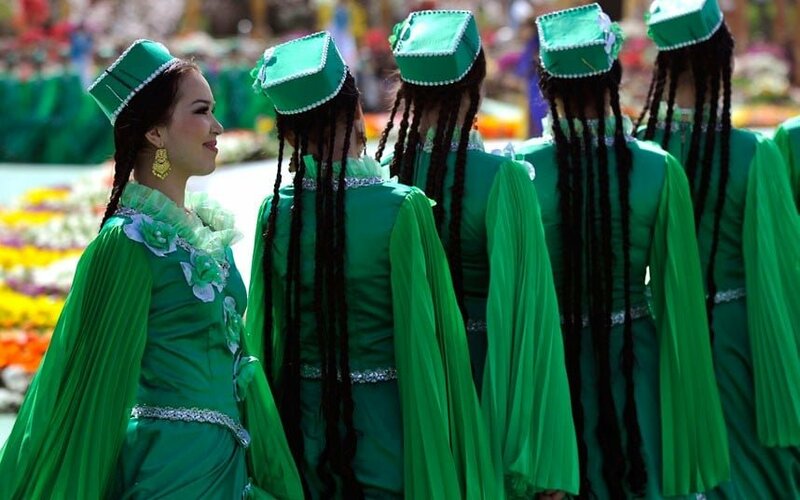 People of Uzbekistan celebrate the Nowruz with the same enthusiasm and sense of belonging. For people of Uzbekistan it is a sign of happiness. It stands for virtue. It speaks about connectivity. It spreads energy. It is a time of light and fire. Young boys and girls take the ashes of the fire and throw it far from their houses, meaning that they are throwing away all the misfortunes of their family with the ashes. It has democratic philosophy, because it is not just a holiday that marks the vernal equinox; it is a holiday that marks people’s equality. Bringing together different sections of the population, Nowruz strengthens mutual esteem, mutual understanding, and social cohesion. It tells the importance of co-existence and humanity and Uzbekistan is one of the prime examples of it. Uzbek people treat it as the season of rebirth. It is the ideal season of marriages and love making. The number of weddings increases during Nowruz in all the Central Asian Countries and Middle East Region. People believe that families formed during this season will be happy ones. Boys born during the holiday season are often called Nowruz, while girls are called Bahar, which means spring. For Uzbek people it is eternal power of humanity, simplicity, devoution and above all struggle over darkness, faulty-lines and greediness. It symbolizes the awakening of natural life and the victory of good over the evil forces of darkness, represented by the winter, this holiday is the time when the cold winter finally begins to retreat, giving way to the lively and hopeful spring. Cross-Culture knowledge and a global focus are crucial to survive and to thrive. Cultural celebrations and festivals are common to people all over the world. The new concept “the dance between cultures” is the main theme of Nowruz which rightly projects the importance of interfaith harmony/dialogue, respect for multi-ethnicity and value to think beyond self-fabricated notions, taboos and stigmas about others in order to achieve global peace, harmony, stability and sustainability. It gives best knowledge about other’s cultures, human psychology, national traits, physical cores, ethnicity and religion. 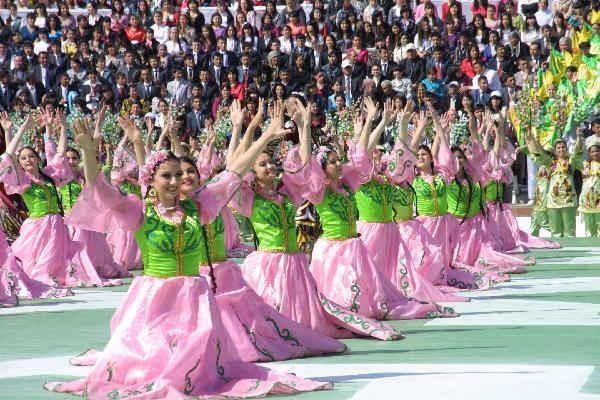 Vast celebrations of Nowruz in Uzbekistan uphold its love towards humanity and nature too. These events celebrate different historical and cultural practices and share some important community functions. Often holidays like these bring together families and communities, and introduce new generations to traditional food, dance, music and handicrafts. It is a meaningful holiday which could significantly promote global peace and justice. It will not only promote cultural values, but it will also help nations establish relations based on friendship, peace, justice and respect. In Uzbekistan it identifies different aspects of cultural uniqueness. It is always a humanizing experience that encourages the appreciation of diversity. It provide a unique opportunity to people from the different faiths, ideologies, beliefs and religions meet one and other and feel at home. It is the icon of development, collectiveness, cleanness and the last but not the least, respectfulness. It is a promise and pledge of a human being to be honest, hardworking and decent towards others in the days to come. Nowruz stands for peace and tranquility and the Uzbekistan is the land of peace and harmony too. It is the castle of social justice and development too. Since its independence under the leadership of President Islam Karimov, Uzbekistan achieved a remarkable pace of socio-economic development and political maturity. The peaceful life, inter-ethnic harmony, the environment of mutual respect and cohesion constitute the foundation for Uzbekistan’s colossal accomplishments admired across the world on its way of independent development.